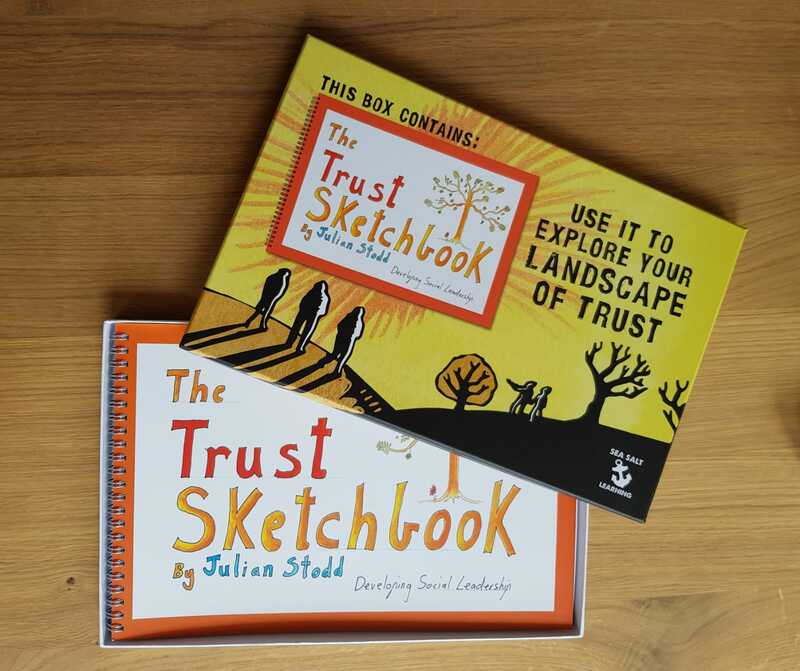 Accompanying the hand illustrated Sketchbook is ‘The Trust Guidebook’, which takes a more in depth look at the research and provides detailed questions to ask of yourself, and your team, as they explore the 12 aspects of trust that are covered within the Sketchbook itself. This book is suitable for individuals who are curious about what trust means, and who want to set down foundations to lead with trust. It’s also suitable for Organisations and teams who want to transform their culture, to be more compassionate, to be more fair, to be founded upon networks of trust. This book is a structured 100 day journey to explore, and develop, your Social Leadership ability. On every day i share an illustration, explore a subject, a provocation, and some questions to answer. Every tenth day is an ‘Action Day’, where you are encouraged to put down the book, and put what you have learned into practice. Leadership cannot be learned from a book, but with a book you can provide a structure, a scaffolding, of a path. 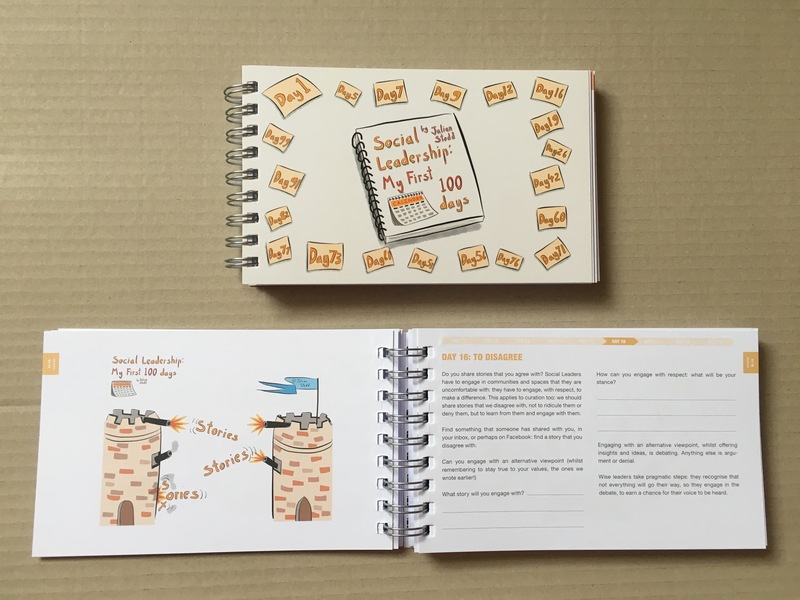 ‘My 1st 100 days’ follows the structure that i laid out in ‘The Social Leadership Handbook’, exploring each of the nine aspects of the NET model, as well as a full section on ‘Foundations of Social Leadership’. The book is accompanied by 100 podcasts, as well as a full MOOC. 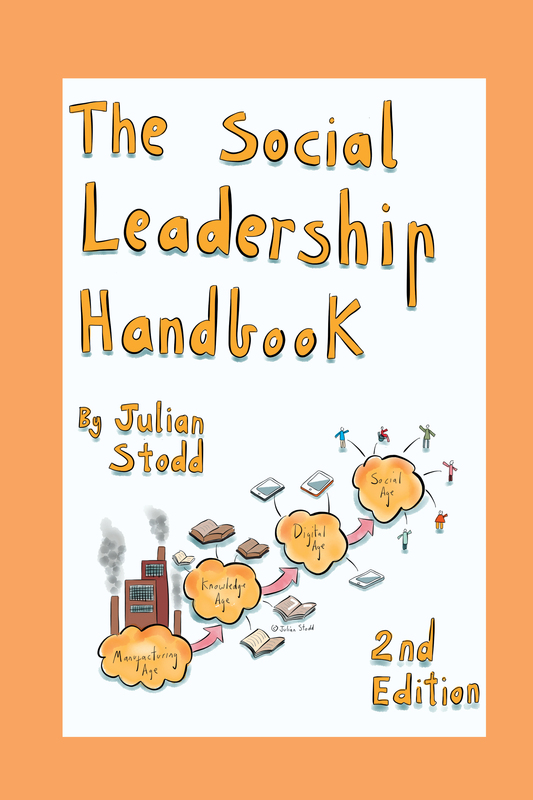 The Social Leadership Handbook is available on with links to all sites here. 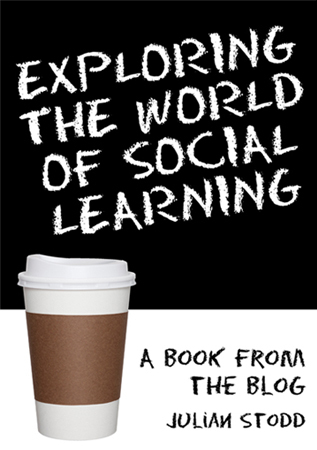 My new book, ‘Exploring the world of social learning’ is available now for all devices through this link. “We used to live in two worlds: the workplace, a formal and restricted environment, and the social world, which was unrestricted and expressive. These spaces used to be separate, colliding only at moments of misjudged intra-office relationships and the alcohol-fuelled miscommunication of the office Christmas party. But no more. There is no longer a formal and social divide, and instead we inhabit a grey space where we answer office emails from the bath and use Facebook in meetings. That photograph of the holiday in Ibiza will haunt you in your next job interview and the post about how much you hate your boss has just gone global thanks to a misjudged retweet. But what does social mean for learning? It’s an incredible opportunity to engage, and this book will explore ways in which we can do so, by showing how to create more dynamic and challenging social learning spaces. Through nearly fifty collected articles from my daily blog, together with new commentaries and practical tips for each, I look at what drives engagement in these spaces and how the thinking around them has evolved. 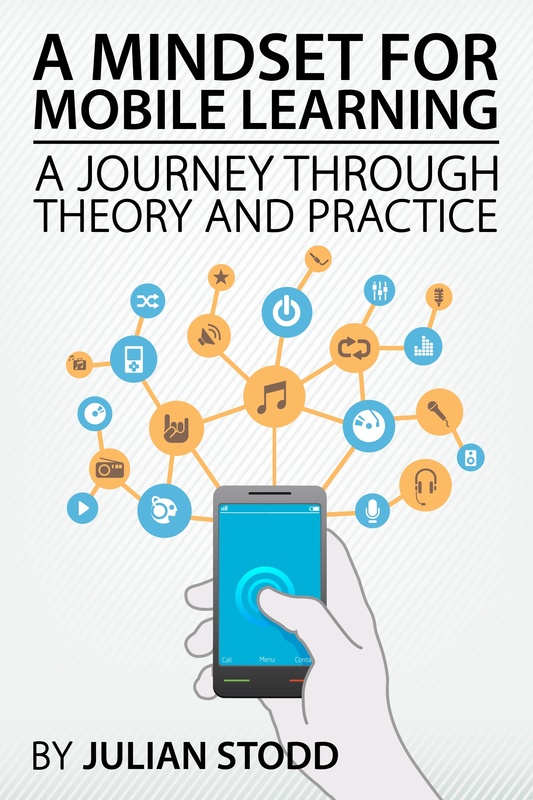 The subject of this book is ‘mobile learning’, but ‘mobile’ means many things: it means technology, as in a mobile phone or tablet, and it also means mobile learning courses themselves, as well as being used to describe the experience of learning in this way, of experiencing ‘mobile’. I’m interested in all of these things, in exploring what they each mean and how we can pull them together to provide a meaningful narrative of how we develop and experience mobile learning. It’s easy to think of mobile as just being a distribution channel, like a television or a radio. We can view the devices as just conduits to push content out to learners, but this is to miss so much of the potential, potential that is only unfolding to us as we speak. People interact with mobile devices in fundamentally different ways: they are social tools used to reinforce our standing, fashion statements, aspirational decoration, sources of knowledge and power, able to make us win a pub quiz or find a pizza, but also business tools used to organize meetings, remind us of deadlines and let us speak to the boss when we’re running late. Mobile devices transcend the traditional boundaries of our lives, crossing over between the formal spaces of work and the informal social spaces that surround it. The devices are not purely functional, they are much, much more. It’s important that we understand just how widely mobile has permeated our lives, how often we reach into our pocket and ready our thumbs for action. We need to recognize how it impacts on knowledge: we used to have to ‘know’ things, whilst now we often only need to know how to find those things out fast. Knowing how to use Google is often enough. We need to develop a mindset for mobile learning. You can purchase ‘A mindset for mobile learning’ for all devices on Smashwords.